As oprainfall’s resident genie fan, I had to be the one to write up this news. About an hour ago, WayForward tweeted the following news. I admit I was surprised by this sudden revelation, but far from displeased. I have grown quite fond of Shantae over the years, and though Half-Genie Hero wasn’t my favorite entry in the series, I appreciate any growth in this retro styled series. While we don’t know much about the game yet, other than the fact it’s coming to all major consoles and PC, as well as Apple Arcade, I can’t help but speculate what treasures the game might hold. I personally hope it continues the trend of games like Shantae and the Pirate’s Curse, which I still stubbornly maintain was the best game in the entire series. I also have my fingers firmly crossed we finally get more backstory for Risky Boots, as there have been hints in past games she might serve an even more important role than just being Shantae’s rival and nemesis. If nothing else, I can’t wait to join my favorite genie on her latest adventure later this year. Here’s hoping it gets another saucy subtitle as well! 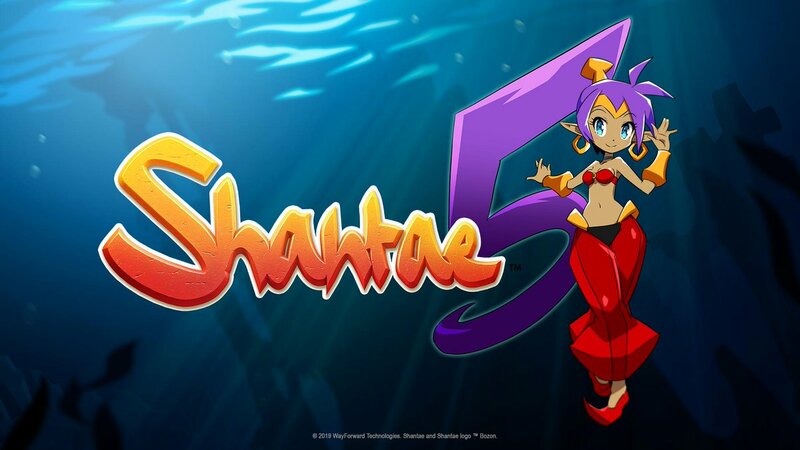 Stay tuned to oprainfall for more details about Shantae 5 as they release.